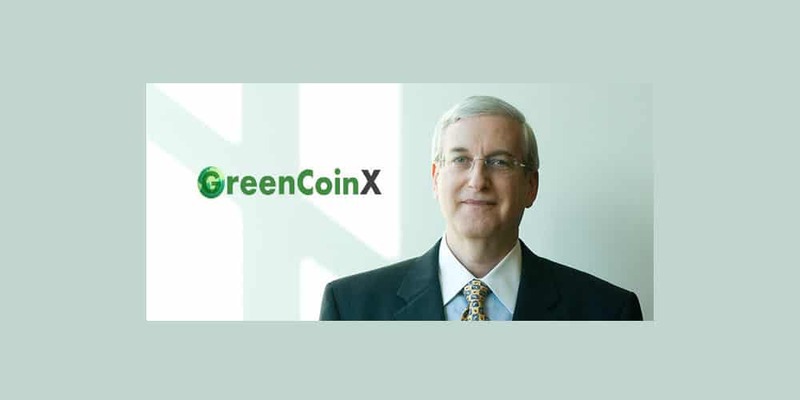 We recently sat down with Danny Wettreich the CEO of GreenCoinX Inc who has developed a Blockchain and supporting cryptocurrency based on identification. All users are required to complete a “Know Your Client” (KYC) customer identification regime, which is similar to the process required when opening a new bank account. Our bias is towards Blockchain innovation and GreenCoin’s solution might have what it takes to drive regulatory adoption across the minefield of AML and KYC requirements. Because GreenCoinX (digital symbol XGC) has the potential to change the cryptocurrency world, and thereby the international payments system, our coverage of them drives a more fundamental discussion surrounding timing more than anything. Feinberg: When did the GreenCoinX first become available to the public? Wettreich: We completed the GreenCoinX ecosystem a couple of months ago after a two-year development program. It encompasses the world’s only cryptocurrency that requires user “Know Your Customer” identification (see www.GreenCoinX.com ), a free GreenCoinX online wallet (see www.XGCwallet.org ), a free online KYC process (www.KYCglobal.net ) and a commission free and safe online cryptocurrency exchange (see www.SiiCrypto.com ) . Feinberg: Why did you develop this financial product? What is your organization’s goal? Wettreich: The promise of cryptocurrency was always the fast and inexpensive transfer of funds worldwide while bypassing the banking system. Until now this has been impeded by identity concerns. Now GreenCoinX has made this promise a reality by its KYC capability. Our goal is widespread adoption of GreenCoinX so that the advantages and cost savings associated with cryptocurrency are available on a worldwide basis. Feinberg: The development team spent two years creating the GreenCoinX ecosystem, what were some of the cryptocurrency obstacles overcome during that early period? Wettreich: Identification is a complex undertaking and took up most of the early development time. We also have developed answers to the other problems that have prevented widespread adoption of digital currency, such as Blockchain Longevity, Currency Stability, and Exchange Safety. Feinberg: Why did you make identification of users a critical feature of the digital currency? Wettreich: Identification is the only future for digital currency. Any cryptocurrency that does not have KYC identification of users will not work as a medium of exchange in the world of commerce. Feinberg: Are there currently any other cryptocurrencies that identify and verify a user’s identity as GreenCoinX does? Wettreich: No. GreenCoinX is unique. Feinberg: Do registered users, need that long wallet address to receive funds? Wettreich: No. GreenCoinX can be sent to an XGC Wallet just by using the email address or phone number associated with the wallet. Feinberg: How many wallet IDs can be connected with a verified identity? Wettreich: GreenCoinX is unique because all users are KYC identified. Each user receives a KYC number and with that number the user can open an unlimited number of wallets as long as each wallet has a different email address. All the wallets are tied to the same KYC number. Feinberg: What are the transaction fees to send or receive XGC? Wettreich: Transaction fees are very small. Only 0.0001 per XGC. Feinberg: Are new merchants required to fill out an extended merchant application and is there a special “merchant account” acceptance policy? Wettreich: No, it is very straightforward. Each merchant just needs to open an XGC online wallet, and then publish the email address associated with that wallet. The merchant’s customers then can pay the merchant directly with XGC by using the merchant email address. Wettreich: GreenCoinX has made a number of fundamental improvements over the Bitcoin platform. (1) Most importantly GreenCoinX has identification, while Bitcoin does not. All GreenCoinX users are KYC identified, and email and phone numbers are securely stored on the GreenCoinX Blockchain. GreenCoinX have been created, a non-profit foundation called the Digital Foundation has been established. The Digital Foundation owns 20% of all the XGC that can ever be created, and it’s only purpose is to distribute those XGC to miners by way of a sophisticated software program that resolves the problem of Blockchain longevity. (3) GreenCoinX country restrictions are implemented to international standards. So GreenCoinX complies with the need to prevent terrorist nations from using GreenCoinX. Bitcoin does not have that capability. (4) Individual countries can collect transaction taxes, such as sales or VAT taxes, for GreenCoinX transactions that occur in their jurisdictions. In those circumstances, taxes will be remitted directly to the government tax server on a transaction by transaction basis.Bitcoin does not have that capability. (5) Our Blockchain is based on identification not anonymity so we can easily be utilized for multiple FinTech purposes. Feinberg: Bitcoin has had some un-natural price swings that have scared away potential users. This fact has been particularly true for merchants, who do not want to risk losing their profit margin. What is different about XGC that will calm the fear of wild price swings driven by speculation? What has been done to address this issue? Wettreich: Currency Stability is very important. GreenCoinX has established a Treasury function to keep currency volatility within an acceptable band of 5% daily movements, thereby offering transactional certainty to users. The GreenCoinX worldwide Treasury function has been established in the Isle of Man, which has a tax efficient jurisdiction. We have opened an office in the Isle of Man which is headed up by a former managing director of a UK bank, who is responsible for our treasury operations. Wettreich: As GreenCoinX is the world’s first and only cryptocurrency that requires users to be identified, there is no direct competition. At the basic level I suppose bitcoin is a competitor, but we are really aimed at a different market. Bitcoin is primarily used by those who wish to hide from government. Our users just want to participate in the world of commerce, and you cannot do that without identification. Our initial market share objective is toexceed the market cap of Bitcoin. Feinberg: How does the user exchange GreenCoinX for fiat currency? Feinberg: What are the company’s plans for expanding the XGC marketplace? Wettreich: Adoption and usage are the keys to expanding XGC in the marketplace and that is what we will be focusing on. Feinberg: What are the company goals for the coming three years ahead? Wettreich: We seek to expand our user base and have GreenCoinX be accepted worldwide as the viable alternative to fiat currency. We are currently undertaking a US$25M private equity offering to raise the marketing funds needed to launch GreenCoinX on a worldwide basis. We anticipate that in three years we will have 10 million wallets and exceed the market cap of bitcoin. Feinberg: What is the price of the XGC cryptocurrency today and has it been stable around that level? Wettreich: XGC has been stable at around US$1.00- US$1.15 during 2016. If we achieve our three-year objective we estimate that the price of XGC will be around US$60 per XGC. Do customers prefer desktop web access or GreenCoinX mobile access to the platform? The IOS version of the XGC Mobile Wallet is currently under review. Feinberg: Is there any way to track how many coins trade each day? Wettreich: SiiCrypto has trading graphs on its website and can also provide API JSON upon request. Feinberg: For everyday use as a consumer currency, a debit card is very helpful. Do the company have any plans to link an international debit card to GreenCoinX? Wettreich: Yes, we are working on that at the present time. Feinberg: Are there any limitations on how much value can flow through a customer account or how many transactions can be completed in one day? Wettreich: There is no GreenCoinX limitation on value flow, deposit size, withdrawal size or on the number of transactions. Feinberg: Where do you see the intrinsic value of GreenCoinX over the next 24 months? Wettreich: We are not in the forecasting business, but clearly if GreenCoinX was adopted worldwide, then the price of XGC would increase due to demand. If GreenCoinX achieved the same market cap as Bitcoin then the price of each XGC would be over USD$58.